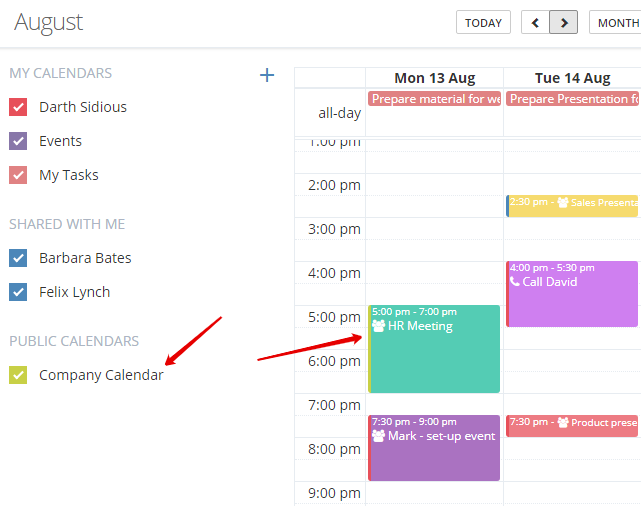 By default, all users of the system have an access to the Company Calendar and Personal Calendar with your name. If your colleagues will give you an access to their personal calendars, you will see them in the “Shared with me” column with the corresponding employee names. The Company calendar is open to everyone. Here, all users of the system can create events and invite colleagues to the events. It can be activities related to the whole company. For example, the schedule of duty, reservation of the meeting room, training events and so on. Note: The company calendar is a system calendar. It can not be hidden, deleted, or synchronized with Google Calendar. You can not change the access levels for users to it. Tips and Tricks. 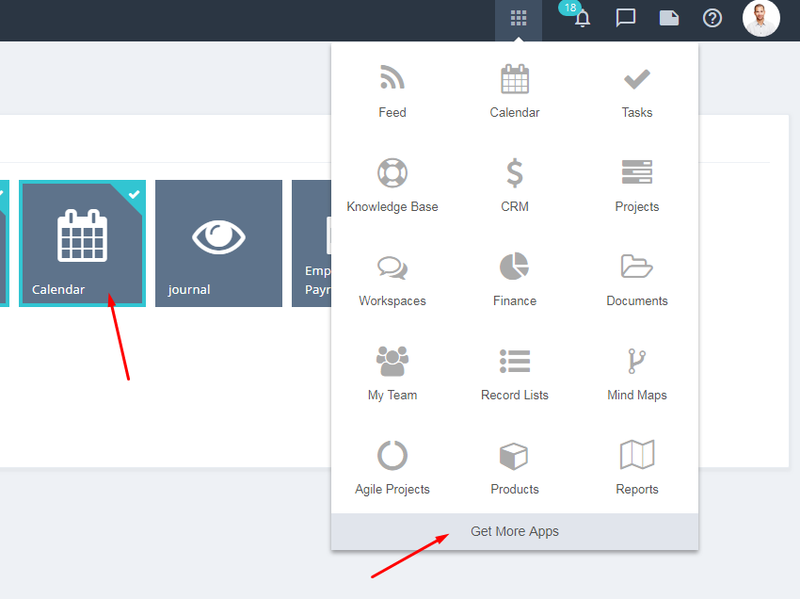 You can plan joint activities for only a certain group of employees or a department in the personal calendar or create a separate calendar for this purpose. 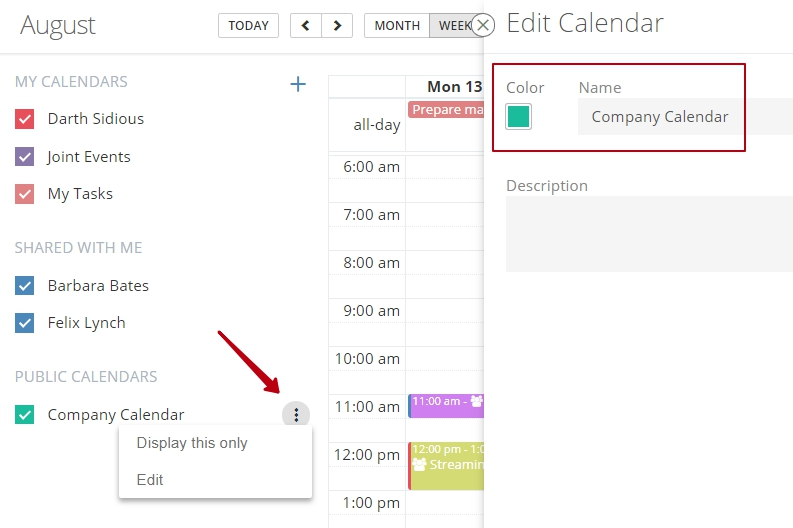 In the company calendar settings, you can change the name and color. To do it, go to the calendar editing. The selected color will be displayed in the events linked to this calendar in the form of a color indicator of the boxes on the left side. If you need to close an access to all calendars to any of employees, you can do it in the user profile settings or in the Apps - Calendar section. You can share this calendar with your colleagues so that they can see your schedule. By default, all events are created in this calendar. But if, for example, you want to display events from CRM or from projects in your linked Google Calendar, you can change it in the settings. Important! Only you have an access to this calendar. Tasks in the calendar are displayed only if they have a start and end date for them.